To meet the variegated requirements of experts in our team, we are engaged in proffering Mobile Headphone. They are available with volume adjuster key as well. Our reputed entity is engaged in supplying Plantronics Practica SP12 Headsets. 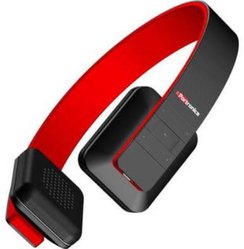 Product Description:Backed by a rich industrial experience, we are engaged in offering a commendable array of Mobile Headphone. Immerse yourself in deep, clear sound. The new Level In ANC earphones drastically minimise surrounding ambient noise by -20 dB so you stay connected to the music you love. J P W is known for manufacturing and supplying a wide range of best quality Mobile Head Phones that are highly appreciated for their sound quality, reliability and compatibility. We deal in a wide variety of (Portronics Phoni 3 Retro Headset)and contact us for any related requirements.